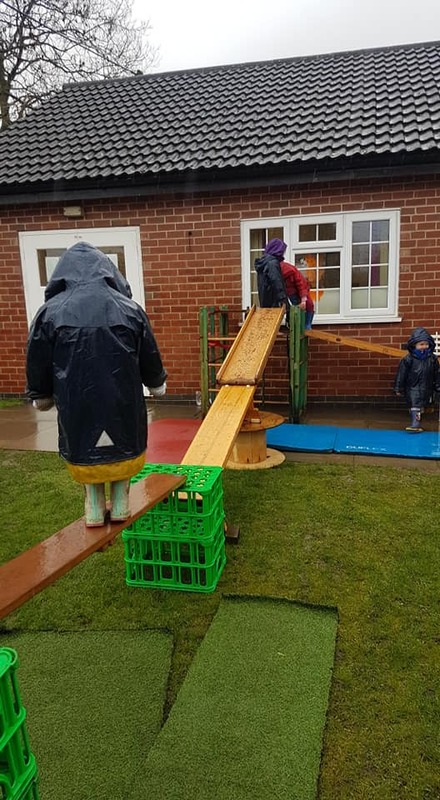 Willoughby on the Wolds Pre-School Playgroup is a small & friendly setting in the heart of our community, with excellent links to the ‘outstanding’ village school. 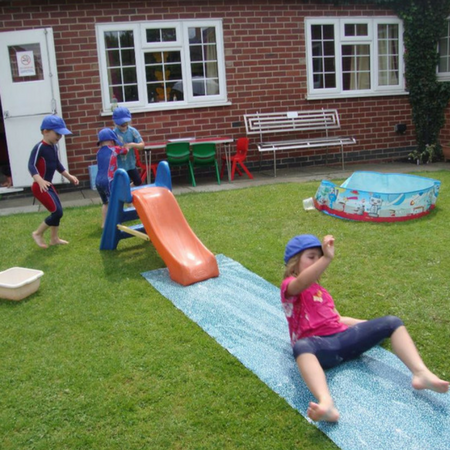 Our 3 fantastic members of staff care for up to 15 children, providing a safe, positive & stimulating environment. When they leave us for school, our children are independent, happy & ready for their next step! Open to children 2-5 years. 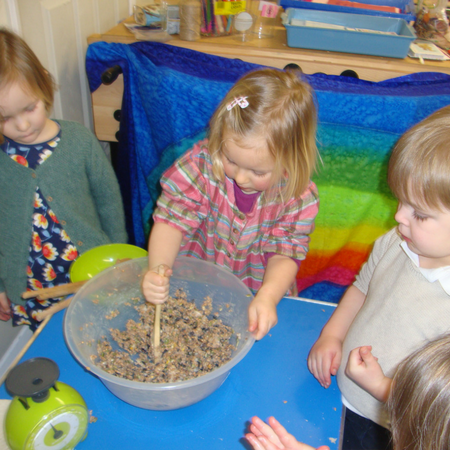 Willoughby Pre-School Playgroup allows the children to socialise, learn and develop across all areas of the Early Years Foundation Stage curriculum by learning through play. Funding is available. We are open Monday – Thursday from 9.15am – 3.45pm with a lunch club from 12pm-1pm. Contact us to arrange a visit! Click here for term dates. Wednesdays, 9.45-11am during Notts term time. Meet other parents while your little one enjoys playing, singing & storytime! £2 per adult. This month has seen the children climb “Kilimanjaro”. A challenge that was made all the more exciting by the wind and rain we experienced. This was part of our Red Nose Day fund raising, which along with a bake sale raised £335.74. We have been learning about spring, watching our frog sporn turn into tadpoles and eagerly awaiting the transformation to frogs. There has been lots of discussion about Easter. We’ve decorated our Easter tree, read Easter books and talked about the Easter bunny. Our last session before the holidays saw the children, parents and grandparents take part in an Easter egg hunt, which was great fun, if a little cold. Our first session after Easter will be the 23rd April 2019. Toby’s confidence has grown so much since he started at Willoughby Pre-School! The staff are great and the opportunity to get out into the countryside is very special. 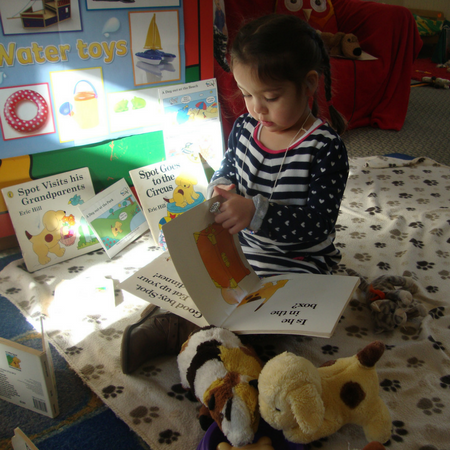 Florence feels happy & settled at Willoughby Pre-School Playgroup; she always comes home buzzing with stories of her day! I know she’s safe and genuinely cared for.